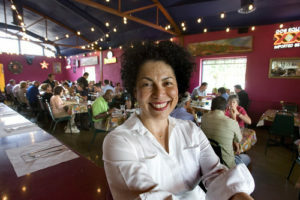 Luzmaria Cardenas, class of ’75, began her career passing out menus in her father’s restaurant, the Red Iguana. Little did she know that one day she would be managing a west side restaurant known not just in Utah, but nationally, as the best Mexican food this side of the Rio Grande. Lucy, as she is known, is the daughter of Ramon and Liliane Cardenas. Although she grew up in the family restaurant business, she left Utah to pursue a career in which she trained and managed personnel for restaurants in six states. During Lucy’s time away from Utah, her mother and brother both passed away, leaving her father to manage an ever-popular, growing business. Lucy came home to take over the leadership and day-to-day activities at the Red Iguana and its sister restaurants. 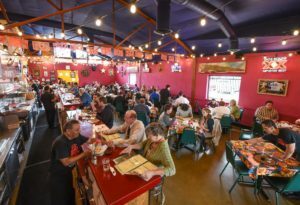 Today, the Red Iguana has three locations in Salt Lake and serves over 800,000 people a year. This is the legacy of the Cardenas family, and the very heart of Lucy’s endeavors to keep the family business prosperous while honoring her family’s years of hard work and community contributions. For the past 12 years, Lucy has guided the Red Iguana restaurant as it has become one of the most decorated restaurants in Utah. Salt Lake Weekly has named it Best Mexican Restaurant multiple times over the years, and the Red Iguana has received numerous other honors as well. The Salt Lake Chamber of Commerce named it Best Minority Business of the Year in 2010; the Governor’s Mansion Foundation Culinary Artist Award went to Lucy in 2006; and for five straight years the Harvard-based ICIC Foundation put the Red Iguana on the InnnerCity100 list of fastest growing businesses in the United States. Additionally, Inc. Magazine included the Red Iguana in its list of fastest-growing businesses. Other accolades have come from Fodor’s, USA Today and the New York Times. Also, not to be overlooked, the Food Channel’s “Dives and Diners” show did a sizzling feature on the Red Iguana. The success of this business is a tribute to Lucy’s determination to keep her family’s famous food not just a part of Salt Lake City’s west side where it all began, but at the other locations as well. In her spare time, Lucy has served for the past eight years on the Salt Lake City Mayor’s Business Advisory Board. She also has been appointed to the Utah Multicultural Commission and is currently a River District Business Alliance board member. 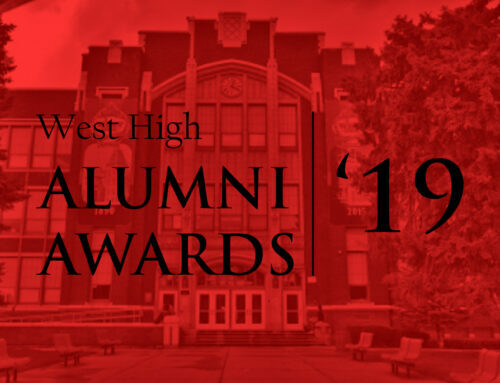 Lucy’s years at West High included activity in the Pep Club, which won Best Contest Performance and Most Original Titles in 1975. That same year, West won the state basketball championship. Congratulations to Luzmaria Cardenas and her employees on the success of the restaurant and to Lucy for her courage and loyalty to family, school and community.